Minnesota is currently well represented at the national policy level with two of our members serving on the Academy’s Legislative and Public Policy Committee (LPPC). Carol Brunzel is in her third and final year of her term, and Laura Perdue just began her first year on the committee. The LPPC guides the establishment of the Academy’s public policy work including, but not limited to, activities related to federal and state public policy, legislative, and regulatory issues. The LPPC consists of nine volunteer leaders who serve a staggered three-year term. The President-elect, Speaker of the House and Academy Political Action Committee Chairman serve as ex-officio members for a one-year term. Appointments to the committee are made by the President and Speaker. • Overseeing the Academy’s advocacy strategies and stances in public policy priority areas. • Supporting effective advocacy representations and efforts. • Participating actively in monthly meetings and during FNCE® and the Public Policy Workshop (PPW). • Identifying Academy expertise and resources in priority areas. • Identifying opportunities to advance nutrition and dietetics in public policy and grassroots initiatives. • Seeking information, positions and guidance of other Academy committees, task forces, workgroups and teams. 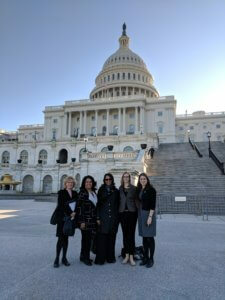 2018 is an exciting year for the LPPC, as there is a great opportunity to engage more members in public policy when FNCE® is hosted in Washington, DC this fall. If you are planning on attending FNCE®, consider staying through the last day to participate in the Public Policy Workshop (PPW) at no extra cost! PPW is your opportunity to meet with your federal representatives and make your voice heard on important nutrition policy issues. For more information on public policy and to learn how you can get involved, check out our Advocacy page.